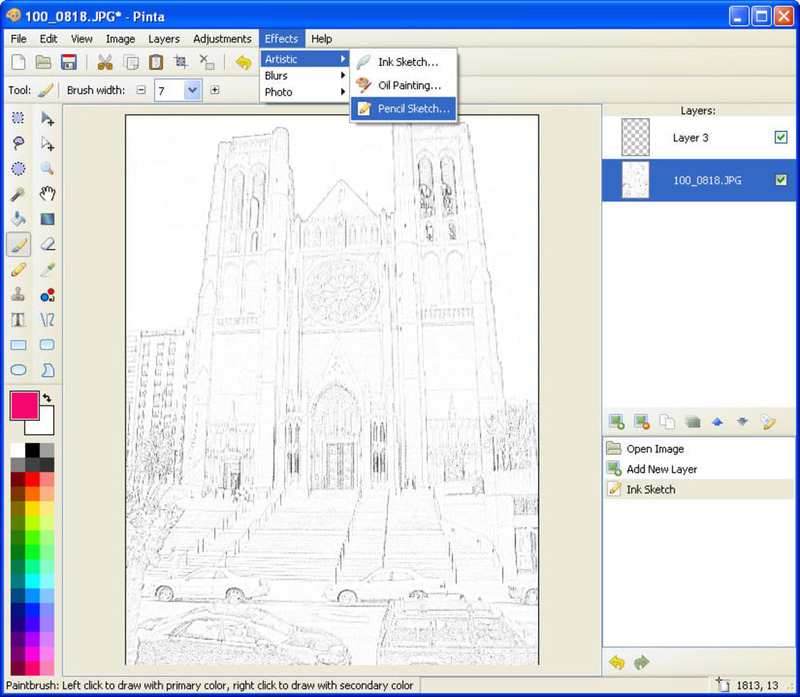 Pinta is a neat drawing and editing tool inspired by Paint.NET, which aims to work as an simpler, easier-to-use alternative to GIMP. This means you shouldn't expect Pinta to be some kind of open source Photoshop clone. 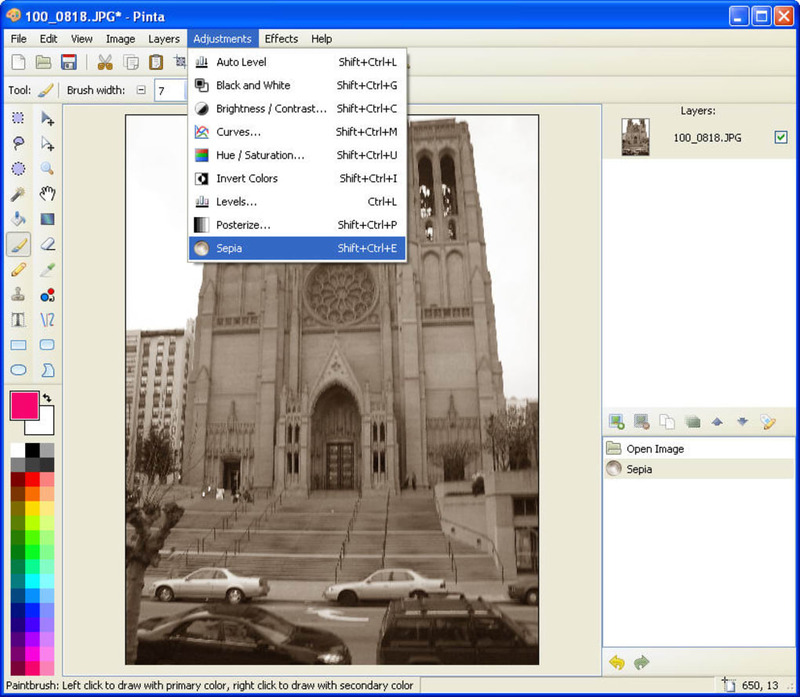 It does include some interesting features like support for layers, unlimited undo and redo, and a bunch of special filters and effects to spice up your images – but its nothing like a serious photo editor. 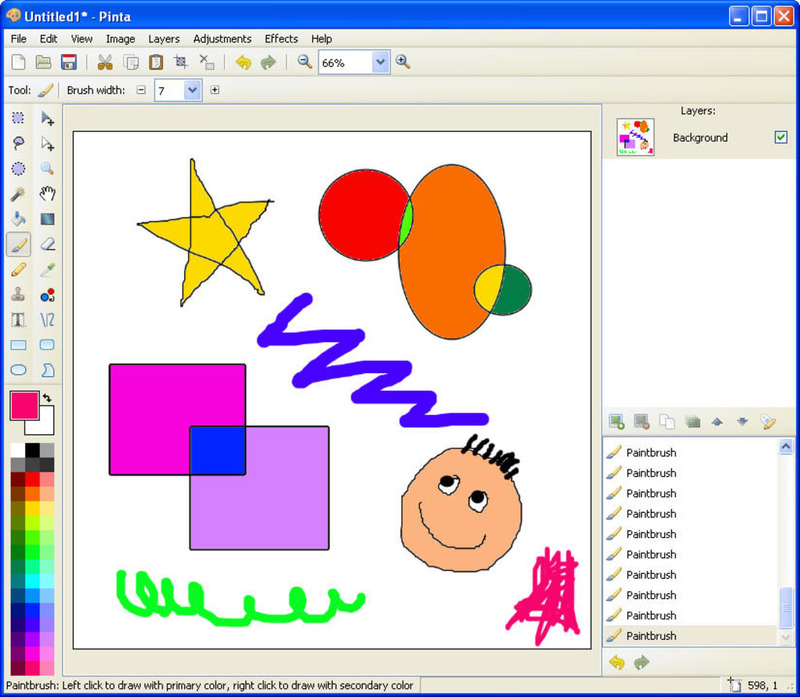 It does, however, include a nice selection of drawing tools that can make Pinta a good alternative to Microsoft's Paint. According to Pinta's developer, the program is still at an early stage of development – which may be the reason why some of its tools are not available yet. In any case, Pinta does look promising, so we'll keep an eye on this little handy editor as it grows. 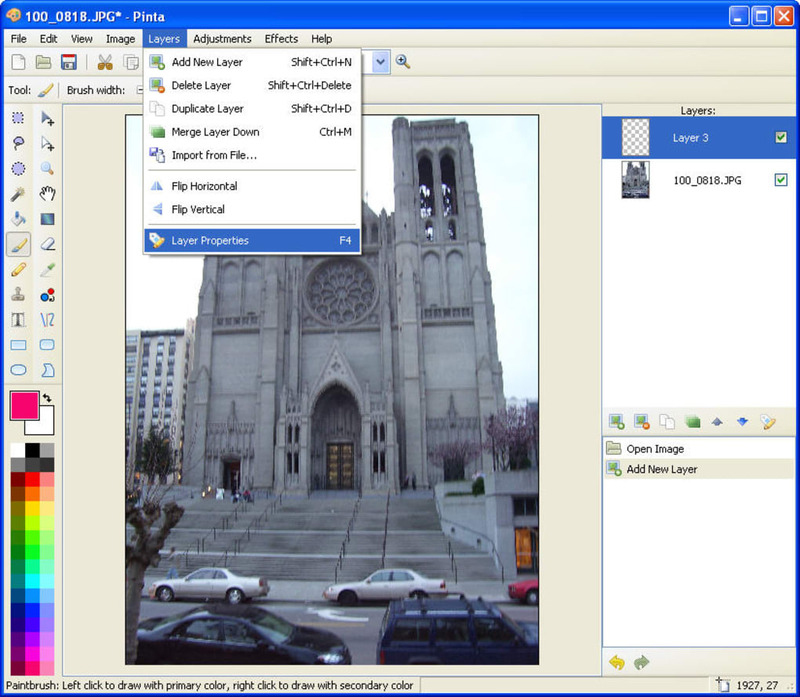 Pinta is a simple drawing utility and image editor with a clean interface and an interesting set of tools. Pinta 0.5 is a continuation of our "polish" phase. This release is chock-full of small tweaks and enhancements to provide a better experience. What do you think about Pinta? Do you recommend it? Why? Brave is now ready to INSTALL. Don’t miss this step to start browsing 2x faster with total security and privacy.